When you are choosing the perfect wedding dress for your special day, there are many things that you need to consider. The shape of your wedding gown is something that you need to be sure not to overlook. This has a major impact on the overall style of any dress that you choose. This means that you need to be sure that the shape of the wedding dress that you choose flatters your overall body shape. There are many more skirt shapes than you may realise. From classic to ball gown, it is important for you to know what your options are and what body shapes look best in certain skirt shapes. This is a skirt shape that is similar to the name. The shape of this dress is in an A shape, which means that it is slim fitting at the top and flares down at the skirt. This is a skirt shape that is very flattering for brides that are looking to show off their small waist. It can be a dramatic effect to go from a slender waist to a flared skirt. The bodice fit at the top can make this type of dress have even more of a dramatic style than normal. If you are looking for a wedding dress skirt shape that is perfect for the most body types and is the most popular option among brides, you might want to look for an A-line dress skirt. This is a look that is a bit different and modern. This means that if you are a bride that wants to be a bit more daring with your bridal look, you may want to wear a column gown. This is a dress that is slim fitting at the skirt of the dress, but also at the top of the dress. It conforms to the shape of your body in every way possible. If you have a great figure that you have worked hard for and you want to show it off, you may choose to wear a column shaped dress. If you are a petite bride or tall and slender, this is a look that can be a very flattering look for you. If there is one dress skirt shape that is hot right now for many brides, it would be the mermaid look. This is a dress skirt that is similar in shape to the fin of a mermaid. It fares out at the bottom in a very dramatic fashion and looks like a fin. The top of the dress is normally slim fitting, but the skirt does not start until around knee length or below. If you have an hourglass figure and are pretty curvy, this can be a skirt shape that you will look great in. 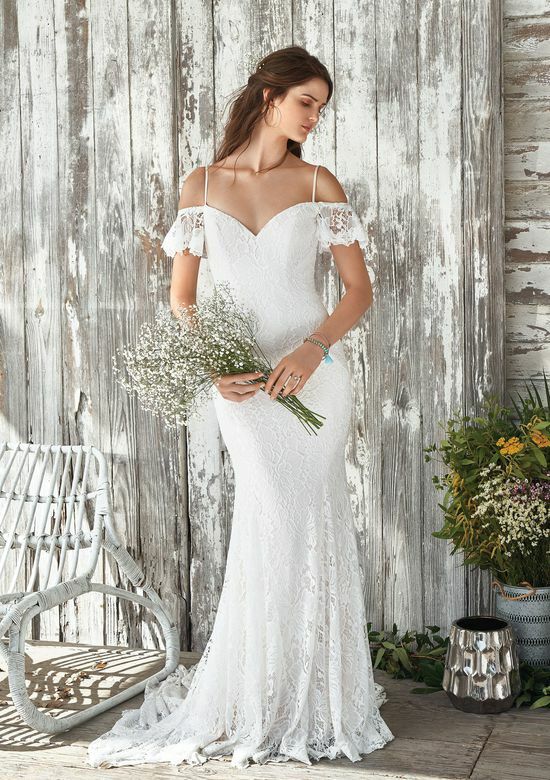 This is skirt shape is very similar to the mermaid in design, but the main difference is the extra material that is sewn into the back of the wedding dress. 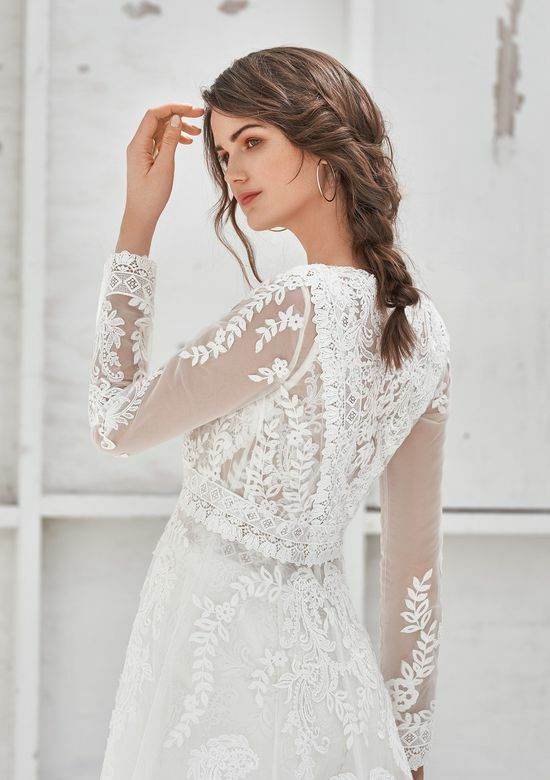 This means that if you are looking for a wedding dress that has a bit more detail than most, you might want to go for a fishtail skirt shape. If you look great in a mermaid dress you will also look great in a fishtail shaped dress. If looking like a princess on your wedding day is the ultimate goal, it might be a good idea for you to take a closer look at ball gown shaped wedding dresses. This is the skirt style that is most like a princess dress and a look that is very classic and elegant. It is normally a skirt shape that is attached to a bodice, so it is a look that can be very plain or simple depending on the embellishments and details that you choose for the bodice. Fairytale Brides have an extensive range of ball gown options for you to choose from. If you would like some more guidance on choosing the perfect dress please do not hesitate to contact Fairytale Brides who are ready and waiting to advise you on your dream dress. Five Bridal Styles Which One Are You? At Fairytale Brides we offer gorgeous award-winning designer dresses! Serving brides throughout Manchester, Bury, Bolton, and Heywood, our bridal boutique's commitment to quality and customer service guarantee more than just your perfect wedding dress. Hayley Paige Has Her Own YouTube Series!